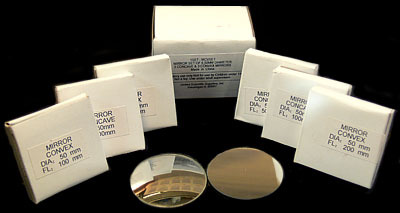 A set of six glass spherical mirrors with back surface silvering. Great for optics experiments and work with visible light lasers. 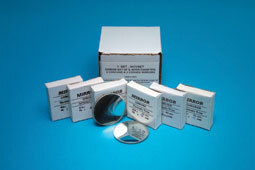 Includes three convex and three concave mirrors, all of 50 MM diameter. Focal lengths are 50 MM. 100 MM, 200 MM, -50 MM, -100 MM, and -200 MM.